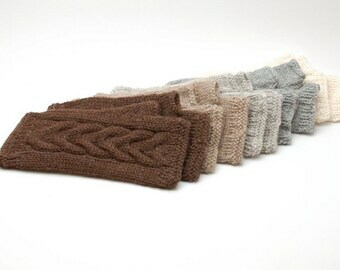 Warm, stretchy, comfortable, especially when it is chilly, but you need to use your fingers - when driving, taking photos, using phone, keyboard etc... Cable knit fingerless gloves of organic undyed ecological merino wool yarn. 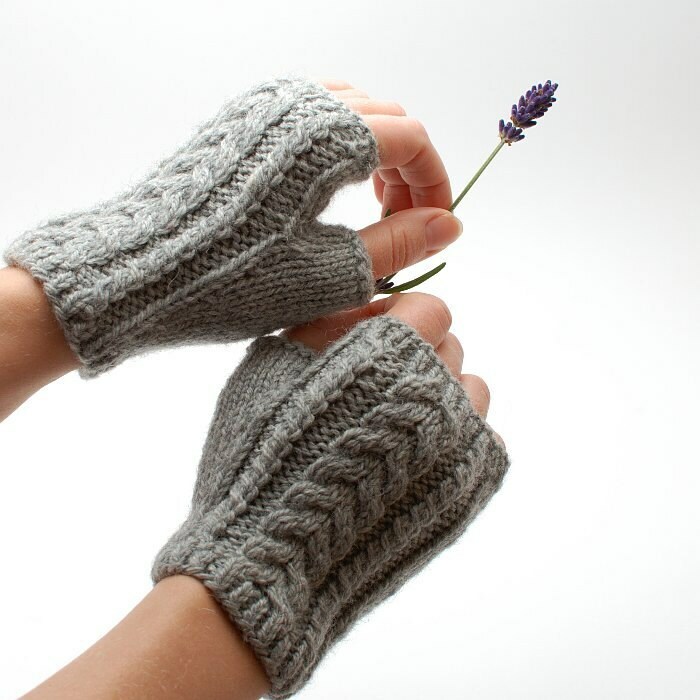 Gloves are soft, organic not chemically treated wool contains all the best wool qualities. Wool reduces pain, and inflammation, has organism strengthening qualities. The strongest healing effects has natural wool which is not colored, not carbonized. Gloves are made to order, they will be made and shipped in a week after purchase. You can order other natural wool undyed colors. Beautiful! Perfect fit and color. Very well made, thank you! No more frozen hands at the office! Just as described in text and pics.